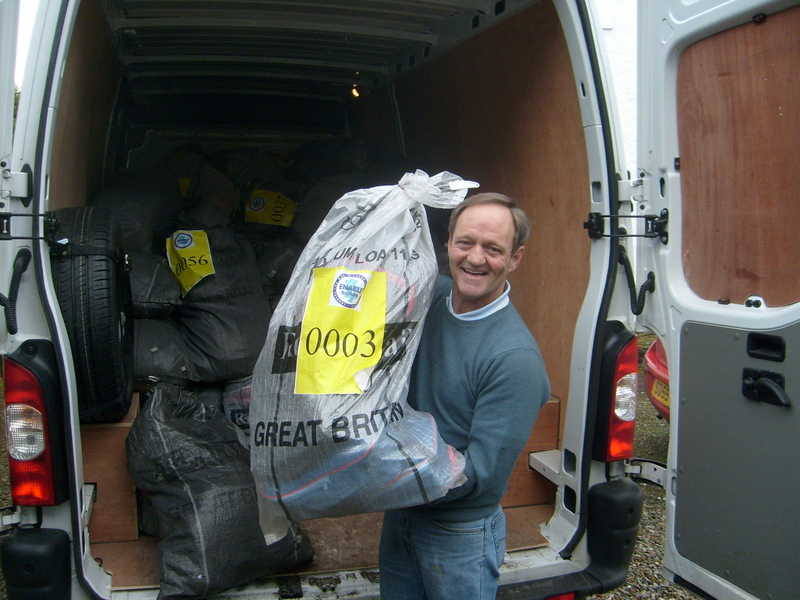 It may seem strange that the Raven Trust sends quantities of blankets and woollen clothes to such a hot country as Malawi. However, many of the children we work with live in the mountainous region, high above sea level where it can get very cold, especially at night. Because of the high rate of death among infants, babies are sometimes not particularly well looked after until they are considered “viable”. Not only do these clothes and blankets keep them warm, but also, the fact that the baby has been given a special gift can increase its chance of good care. 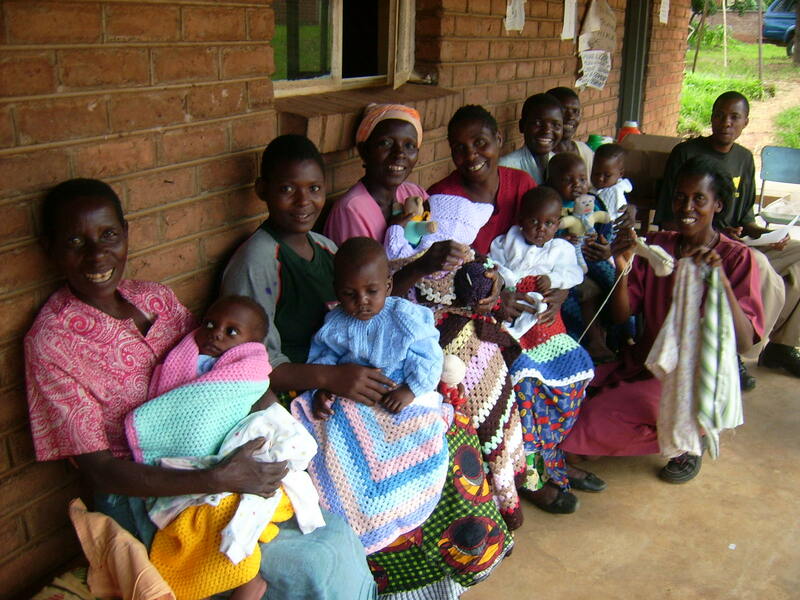 Donation of knitted and crocheted goods for children are always needed. 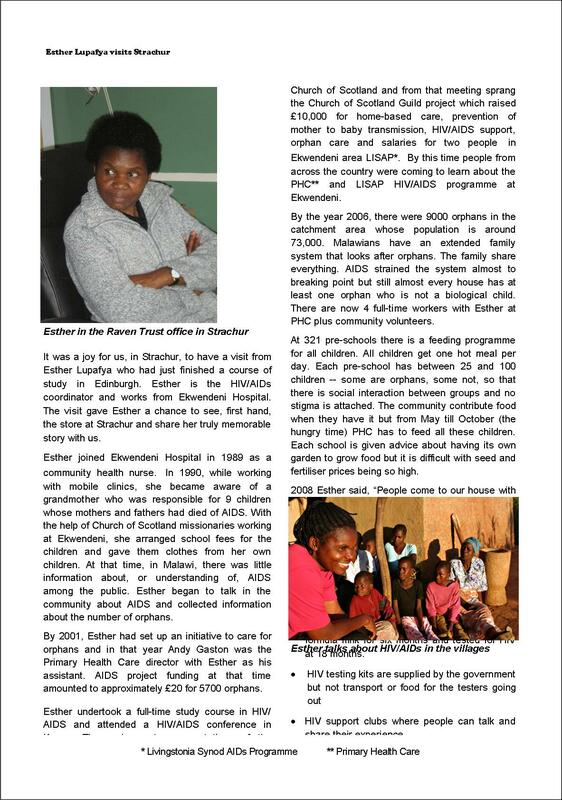 Sister Esther Lupafya, Co-ordinator of Ekwendeni Hospital Primary Health Care HIV/AIDs Programme, visited the Raven Trust office in Strachur last autumn. 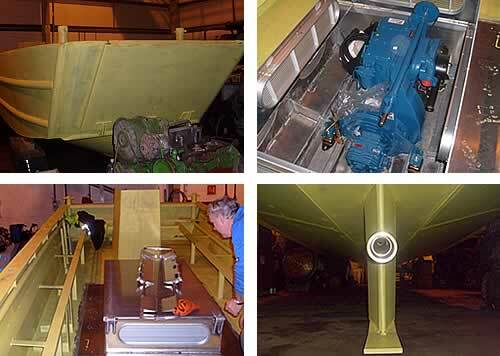 Read all about her work and plans in our Newslink Extra. Click on ” Newslink bulletin” at the right of the page and then on Newslink Extra. Press reports early in the New Year informed us that Ekwendenihad been hit by a cyclone and hail storm. Reports now received from the General Secretary of the CCAP (Church of Central Africa Presbyterian) in Mzuzu show that the damage is quite extensive. 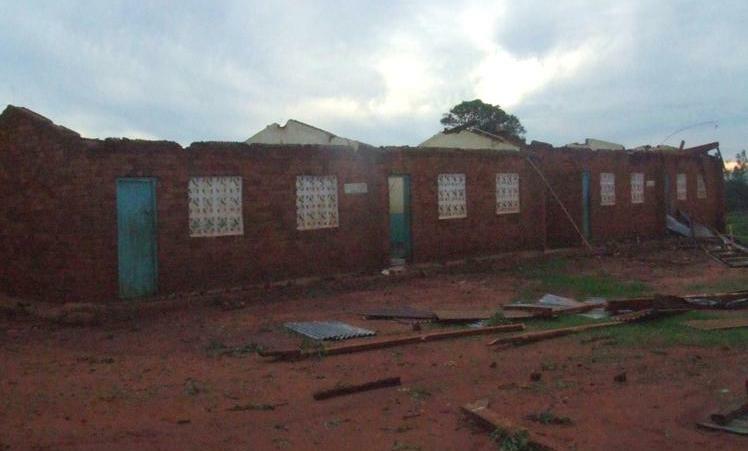 The maize store and Primary School lost their roofs, some Promary School staff house were demolished and there is damage to other buildings on the mission station. The Church of Scotland has provided some immediate funding and other funds have been made available to allow reconstruction to begin. Other houses, outwith the mission station, were extensively damaged and the recently sown maize crops have been devastated. Ekwendeni Hospital, the Primary Health Care department and the General Secretary’s department have many items of clothing, soap, etc, sent out in various containers. These will, no doubt, be distributed where appropriate.